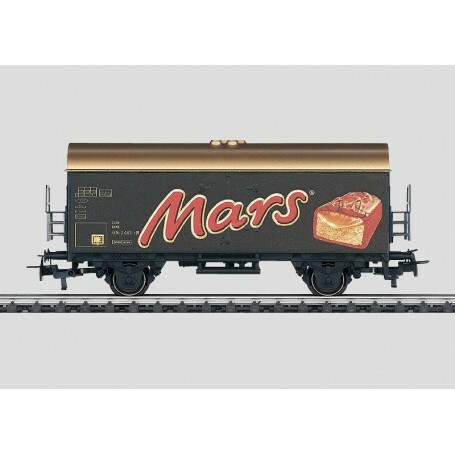  Godsvagn typ Ihs 377 "Mars"
Godsvagn typ Ihs 377 "Mars"
Godsvagn typ Ihs 377 'Mars', längd över buffertar 11,5 cm. epok IV-V.
Model: The end platforms are made of metal. Relex couplers. Length over the buffers 11.5 cm / 4-1/2'. DC wheel set 2 x 700580.